If you wish to own a Bichon, you should thoroughly research Bichon Frise temperament traits and behaviors to help you decide whether they are compatible with the various personalities in your household. 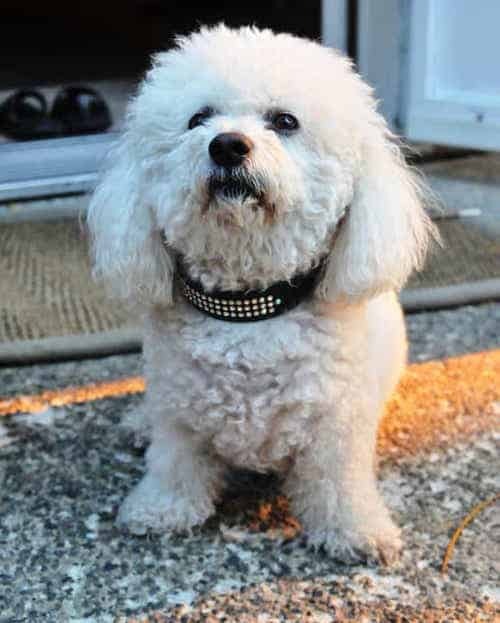 Though the Bichon Frise is adorable, you should remember that their appearance does in no way pertain to compatibility. The Bichon Frise is one of the dogs that have several wonderful qualities. It is affectionate, sensitive and gentle. What other qualities can you ask for in a canine friend? Some of the major problems that are associated with Bichon Frise temperament are Separation Anxiety and Fear Aggression. 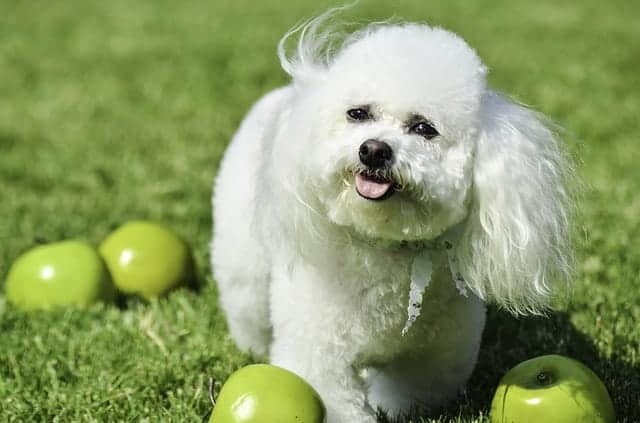 All Bichon Frise owners should know the symptoms associated with these problems and also learn how to deal with or avoid them. But more to follow on those two issues below and before we jump into the Bichon temperament here is some background on the breed. The Bichon Frise has an interesting history. Her oldest ancestor is the Barbet, which was a type of water spaniel. The “Frise” part of the Bichon’s name was tacked on later. It refers to the natural curliness of the dog’s coat. In addition to the Bichon, the Maltese and the Poodle are also descendants of the Barbet. The Bichon was once a favorite pet among royalty. They finally became domesticated pets when American soldiers brought them back to the States after World War I. This problem is part of a larger complex of the Bichon Frise breed of dogs that is also known as the small dog syndrome. Since the Bichon Frise knows that they are small dogs, they are often threatened and overreact to make up for their tiny physique. They display their aggressive temperament by growling, barking or by simply biting their subjects. All these are signs that are intended to cover for this feeling of inadequacy. As a Bichon Frise owner, you should never entertain any aggressiveness. Train and raise your dog with much love and attention but show him that you are the leader of the pack. To do this you need to be strong and assertive. To deal with the Fear Aggression in your Bichon, you need to be consistent in your training. The training should be conducted with some assertiveness, without being mean to the dog. Simply establish the rules that should govern the expected behavior. You then need to demand that your pet abides by these rules at all times. You can scold but not yell when the dog behaves badly and give lavish praise when it behaves accordingly. This practice will not only give proper training to your dog but will also help develop a superb Bichon Frise temperaments overtime. 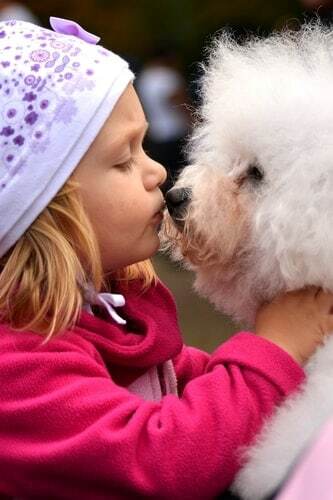 Even though the Bichon Frise temperaments are mostly positive – playful and sensitive the dog can suffer separation anxiety. The first thing that you can do to deal with separation anxiety is to spend ample time with your dog. Bichon Frises are social animals that demand lots of attention from their owners. If you are a person who travels a lot this is not the right breed for you. 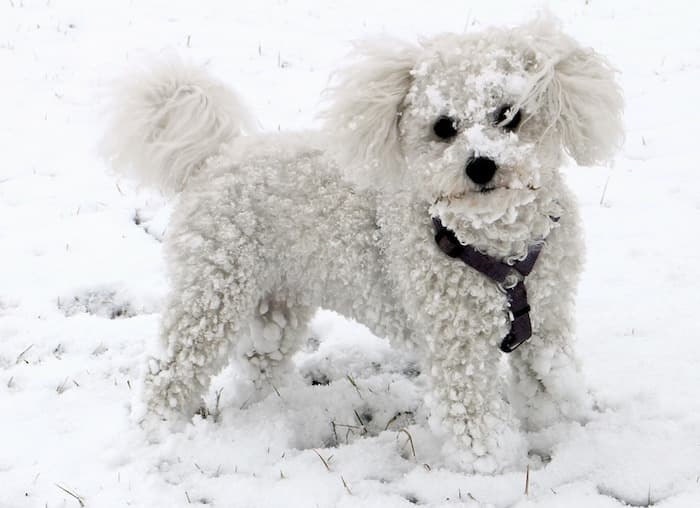 If you leave your Bichon Frise alone for long periods of time, it will be at risk of developing separation anxiety and could eventually result in a depressed dog. Bichon Frises can only make a good pet for those people who spend time at home. If you are a highly active person, this is not the right breed for you, unless of course, you can take your dog along when you are out. 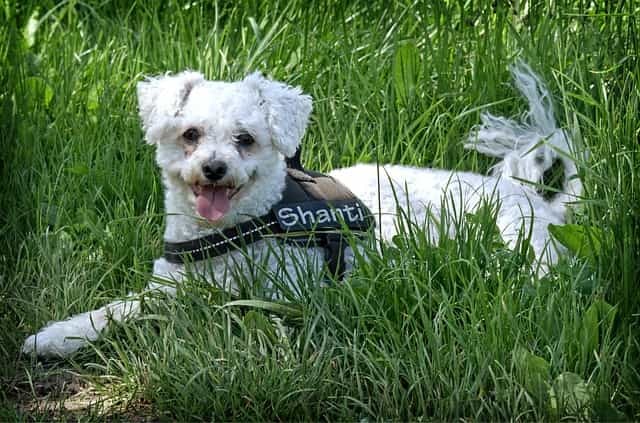 If you can afford to give your Bichon the time it needs then you are sure of getting an affectionate, happy and gentle dog that you will be proud to call your very own. The other very noticeable Bichon Frise temperament is their playful and easygoing nature. Due to their playful nature, they will always look for something to do in the house. Bichons also learn new tricks very fast. This makes it win the hearts of its owners with ease. It also makes it easy for the Bichon Frise to integrate with children. Bichons are also known to possess stable attitudes and friendly behaviors. Another very admirable Bichon Frise temperament is that they have incredible watchdog abilities and agility. These dogs are known to be very attentive and alert to their environments. If you are convinced that this is the doggie that you want, you need to learn something about their health concerns. And Dislocation of their kneecaps. All these conditions can be attended to by a professional vet, so don’t be alarmed. Also, make sure you get you Bichon checked periodically for heartworms. Important Note: Few things are more important than our Health. It's no different with our Bichon Frise Health. Some visits (and Money) to your vet can be avoided if only you know what to when your dog is ill. The Ultimate Guide to Dog Health is the answer. No dog owner should be without this handy guide. It's no substitute for your vet but it will Save you Money and Heartache. 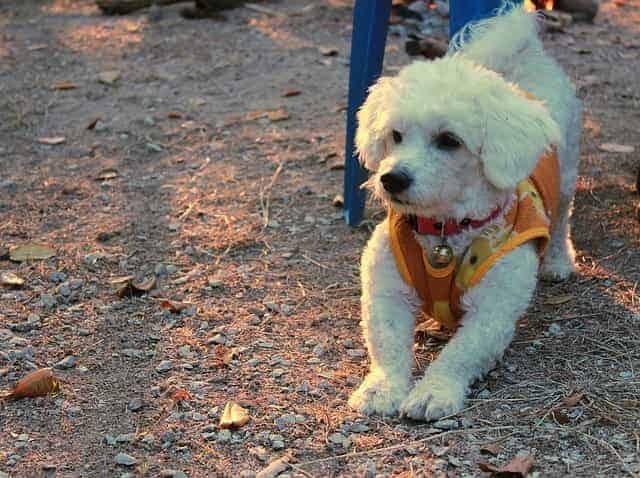 This Dog Health Guide will help you quickly understand and recognize symptoms in your Bichon before they become a serious problem for your dog. Click Here to see if you agree. Bichon Frise Lifespan – How Long Do They Typically Live? A healthy Bichon Frise can live between 12 and 15 years. This is a normal lifespan for a smaller breed. Interestingly, Bichons, on average, tend to have slightly higher lifespans in the UK, rather than North America. I think you will agree that no one wants a dirty unpleasant looking Bichon. Grooming is key to make your cotton ball dog pop!! 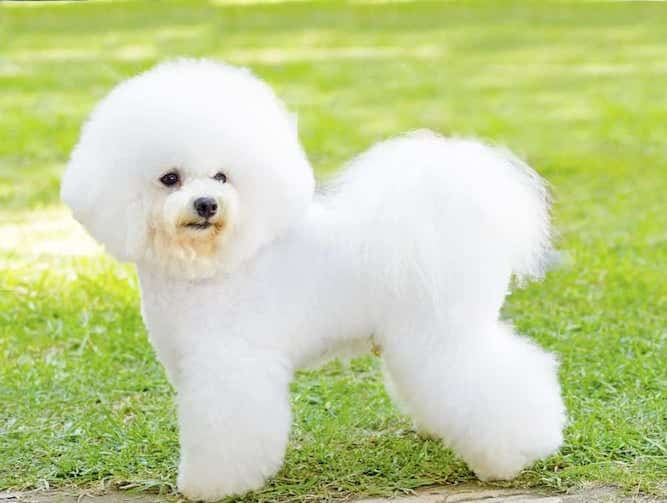 You must regularly comb and brush the Bichon’s coat to keep it clean. You will also need to trim her coat once a month. The Bichon does not really shed. This is because the hair she does lose ends up getting knotted up with her other hair. It is for this reason that you should regularly brush the Bichon. Brushing regularly prevents skin problems and a build-up of dirt and dead skin. Want some more grooming tips? 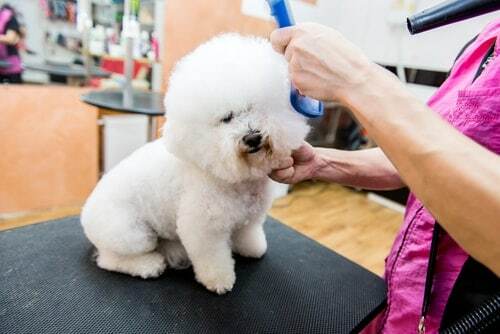 Go here to see six must do Bichon Frise grooming tips to make your dog shine. While the Bichon is a smaller dog, she still requires daily exercise. You can let her run around the yard or take her for a walk. On average, a Bichon should weigh about 15 lbs. Therefore, she only needs to eat just over 500 calories a day. Some Bichons may have digestive issues due to having a sensitive stomach. If you think this may be happening, you should find out if your Bichon has a food allergy. If you believe she does, talk to your vet about what kind of diet she should be on. Chances are she will need food that is formulated for sensitive stomachs. 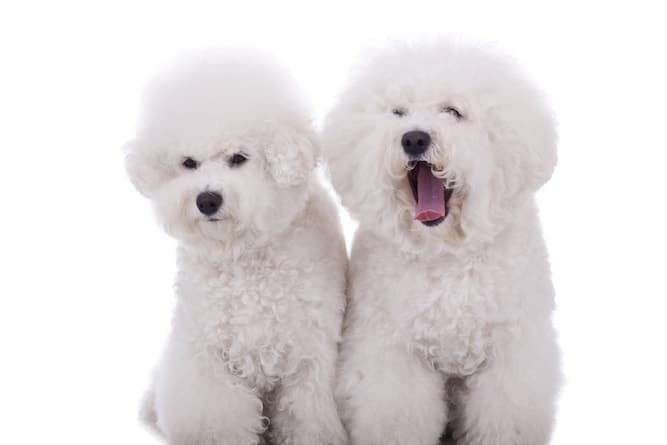 If you are in the market for a Bichon Frise, you may not know where to start. How do you find that one perfect puppy in that sea of eager faces? You may have heard that you should let the dog pick you. This, however, is not always the best decision. The dog that chooses you may be warning you of a possible aggressive streak. Instead, don’t ignore the shy ones. Give every dog in the pack you’re considering a fair shake. When you decide to buy a Bichon Frise puppy, the best way to get the most for your money is to spend a little time with the entire litter. If the entire litter is acting aggressive or timid, this may be a reflection on the skill of the breeder. An experienced breeder will socialize the litter with both humans and other dogs. This way, when the time comes for someone to bring them home, they will be warm and approachable. Use your gut instinct. If it doesn’t seem like the breeder has done the work to get the highest number of sales, how can you be sure his or her puppies are high quality? Prices for a Bichon puppy can range from $200 to $2,500. On average, though, you should expect to pay about $600. Prices for a Bichon puppy can vary based on the reputation of the breeder and the history of the litter’s parents. If the parents are champion Bichons, this too can up the price. Finding a reputable breeder can be a difficult task in itself. One good resource to use is the American Kennel Club (AKC). The AKC offers a free service on their website that searches for the highest-quality breeders in your area. You can also go by word-of-mouth from people you know who have purchased Bichons in the past. There are several benefits to adopting a Bichon Frise, rather than buying one. For one thing, adoption is much cheaper. With adoption, you’ll typically pay for the puppy to be neutered and for her introductory shots. That’s about it. An adoption may run about $150 or so, as compared to the up to $2,500 you could spend with a breeder. Another benefit of adopting a Bichon Frise is that she is more likely to have been socialized with other dogs. Depending on how long she was in the shelter, she may have also been taught some useful tricks, like sitting before she eats. If you adopt an older dog, it is more likely that she will be housebroken. You can also be a lifesaver for that dog since most people do not adopt older animals. People you love Bichon Frise also tend to love Bichon Frise mix breeds. If you cannot find a Bichon Frise maybe one of these mixed breeds will be just as good. The Bichon Frise belongs to the Non-Sporting Group. The breeds in this group are all over the spectrum when it comes to appearance, and their temperaments are equally diverse. Take a look at the following temperaments of other members of this group to get a feel for their personalities. The Bichon Frise is an ideal choice for those who like small dogs. Just keep in mind that she must be exercised every day, despite being small. This breed requires regular maintenance. Make sure you are combing and brushing her weekly, and trimming her coat monthly. Provided she is healthy, you should expect to share a good 12 years or so with your Bichon. And remember to do your research, whether you choose to buy or adopt. Overall the Bichon Frise temperament is good and this cotton ball dog makes a great pet. 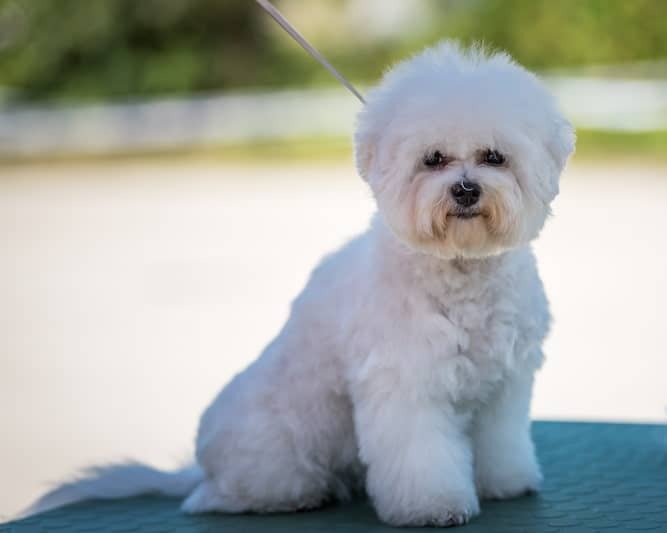 Most negative Bichon Frise temperament will be human-induced, that’s why proper training is so important if you are to reap the benefits of this excellent dog. Next post: The Great Pyrenees Temperament: (Patient, Affectionate): Do You Have Room in Your Heart (and Home) for This Gentle Giant? Previous post: Lhasa Apso Temperament: Can You Handle This Cute Dog?